The 2018 iHeartRadio Jingle Ball Tour Presented by Capital One is back! 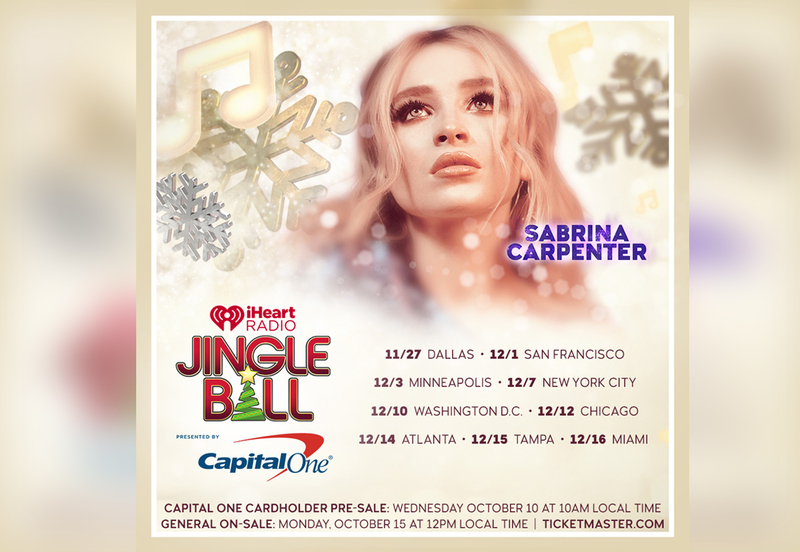 This December, Sabrina Carpenter, along with fellow music stars will be making stops across the country to celebrate the holiday season with all of their fans. Get ready — tickets go on sale to the general public on Monday, October 15 @ 12-noon local time! Set your plans and get your tickets to see Sabrina in concert this holiday season.